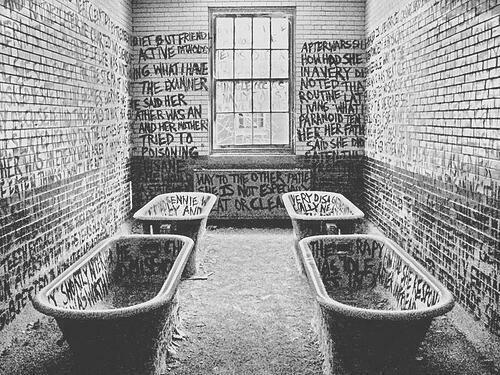 Claim: this is a photo of insane asylum in Chicago, 1967. The claim is false. This photograph is part of an art installation called “Gennie Messages” by Kristin Vinikour in 2001. Location: Manteno State Hospital, Manteno, Illinois, USA. I know this is fake. I remember seeing the pictures years ago and I was trying to show them to a friend. I can’t find them anywhere. All I’ve found was your post about them. The links on your page lead to dead ends. Do you know of any other posts of the full photo sets from this shoot at Manteno? I checked the links on the post and they work for me.